How are you doing? I'm alright. Kind of a dreary day over here and it's making me not want to anything but curl up in my sheets and take a nap. I hate when outside is like this! Lol. I don't own many AEngland polishes but I have been eyeing a few since the first two that I tried out. Today I'll be sharing Spirit Of The Moors. 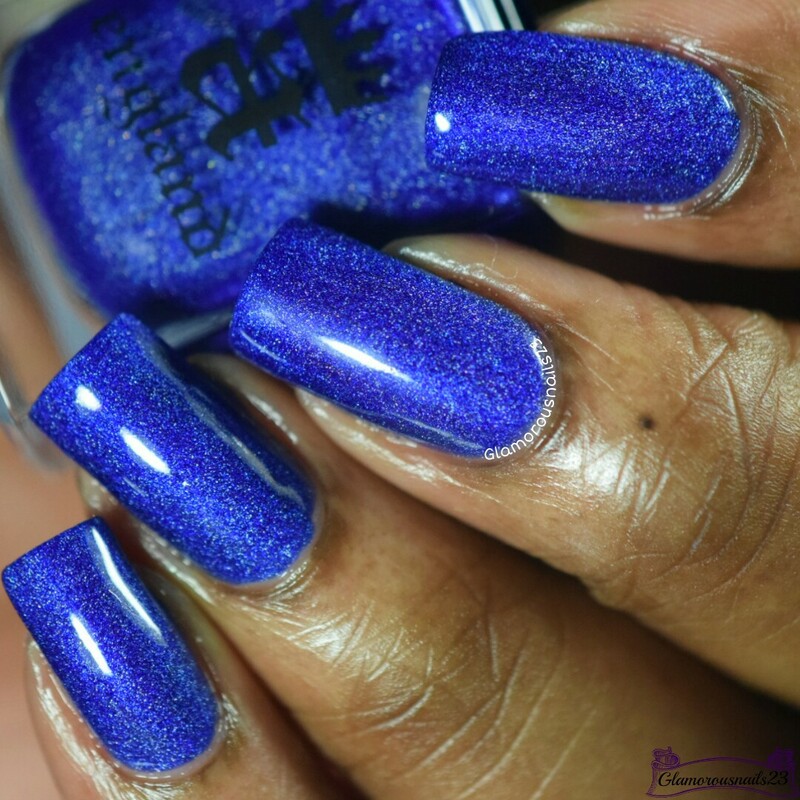 Spirit Of The Moors is a cobalt blue polish with subtle scattered holo from the Emily Bronte Collection. I found the formula on this one had a jelly like consistency but smooth none the less and glides onto the nail. Spirit Of The Moors was almost a one coater but because I do thin coats I had to use two. Depending on your application you could very easily get away with one. Shown is two thin coats with top coat. 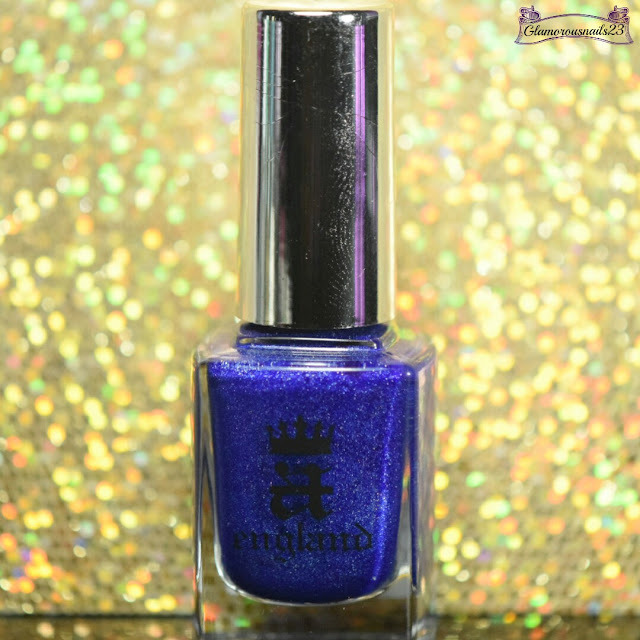 AEngland polishes can be purchased online or you can check out more stock lists by clicking here. Another polish by this brand that I am in love with. 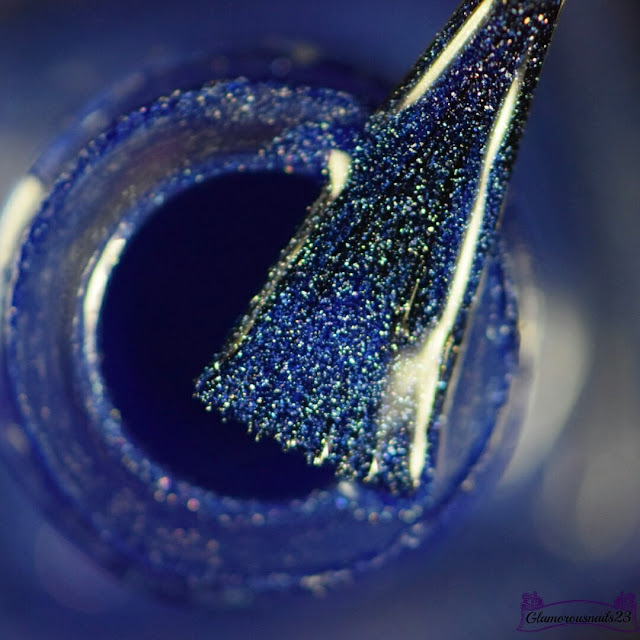 I don't own any cobalt holo polishes so this was a great addition to my collection. If you want to keep up with AEngland follow their social media links down below! 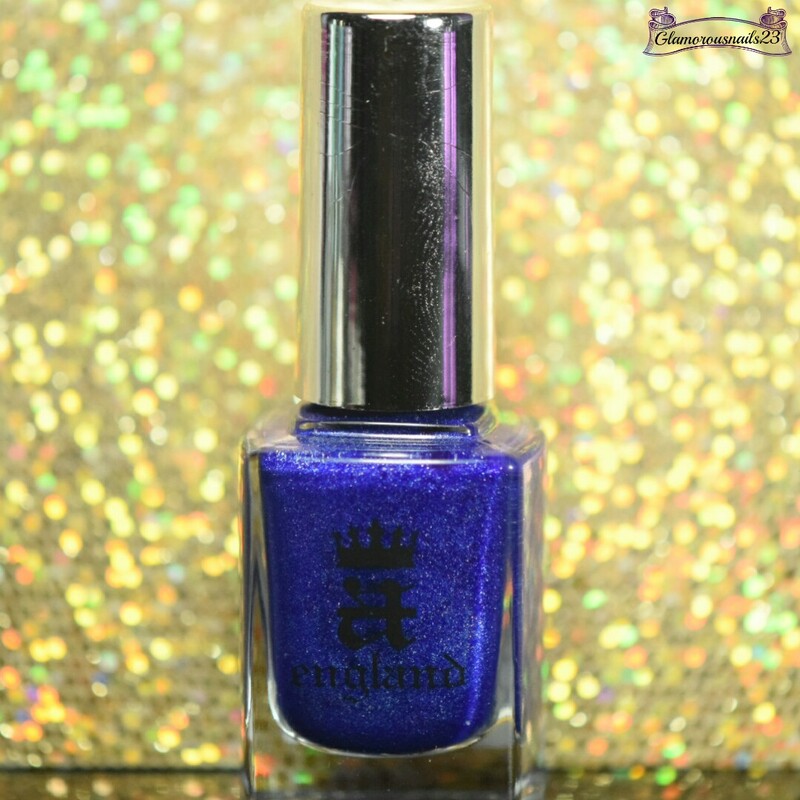 Do you own any AEngland polishes? Did you get the Emily Bronte Collection? Is it sunny where you are today? Thanks for stopping by! Hey lady, I also concur when it's dreary outside all I want to do is sleep. Anyway, that is a beautiful color that you're wearing today. I remember when I first got into np I thought that a England was the holy grail of holos. I no longer think that because compared to others they are quite subtle but are they're a phenomenal company. beautiful and adorable! A-England is always gorgeous! errrrr...you always make the polish look so luscious and beautiful! Great blue and wonderful swatches. 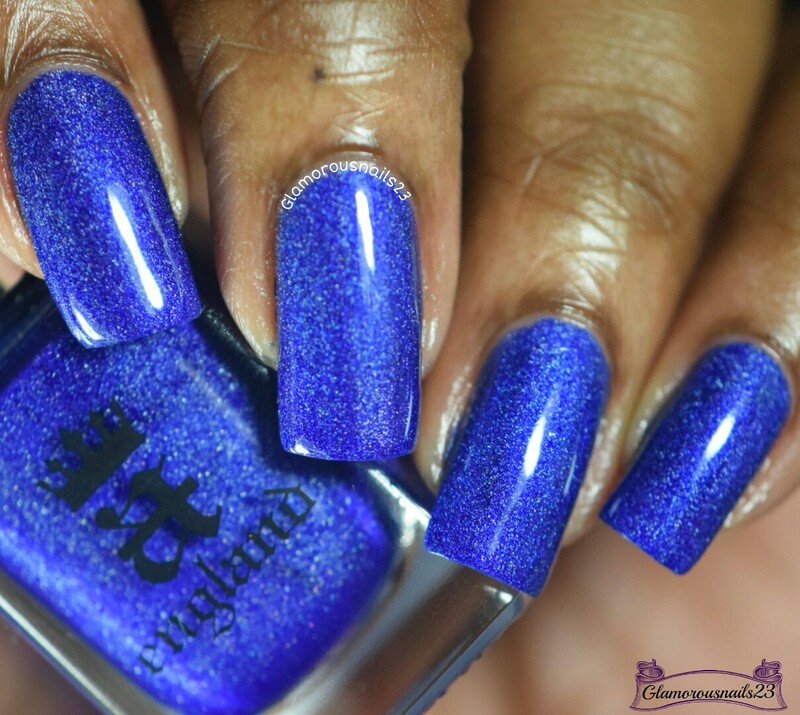 This color is absolutely FABULOUS on you!!!!! Thanks Kate. It really is. Thanks Fife! This is true! Hello Madam! I was wondering where you disappeared too. Lol. Thanks so much!